Toluwalope is one of the very sensational gospel artistes with her gospel African folk music. She is fully named Toluwalope Adebowale, the first of five from the family of Revd and Pstr.(Mrs.) Israel Adebowale. A graduate of Statistics from Bowen University (2009) she is a reserved yet outgoing and friendly person who loves to work with honest and humble people, a native of Abeokuta, Ogun state based in Lagos. Works presently with HQ Media amidst her personal work as a makeup artist and hairstylist (Crystal Creatives), also a photographer. Her passion for music started at a very tender age but started her musical career professionally in 2012. Played active roles back in school,secondary school choir(Christ the Redeemer's Int'l Sec.Schl,Akure),Bowen University Chapel choir and other gospel singing groups. Released her debut album May 2012 which compiled a number of seven tracks and self-titled it 'TOLUWALOPE'. She has released two videos 'HALLELUYAH' and 'PRAISE HIM'. 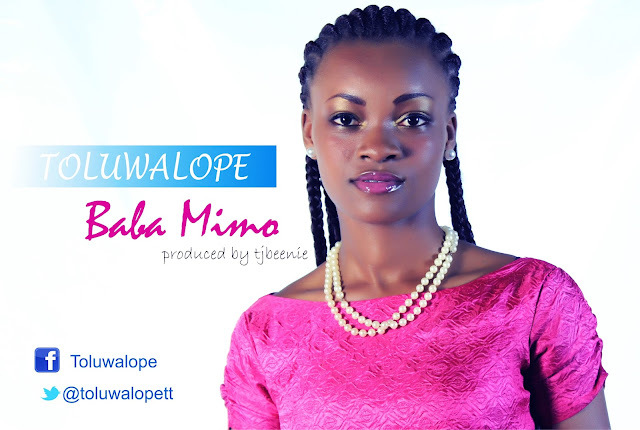 Listen and download ''Baba Mimo'' by Toluwalope below.